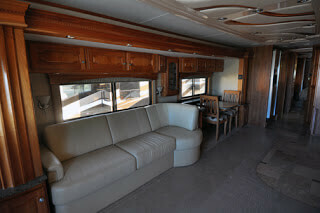 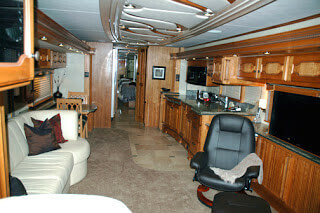 Have you ever walked into a motorhome and had a flashback from a certain decade? 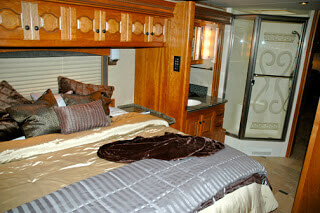 You know, the oranges and greens from the 70's, the pinks and blues from the 80's, etc?! 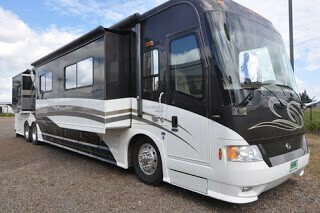 While that may be an extreme example, we have noticed ourselves thinking: "Some coaches have so much potential if they were just freshened up a bit!" 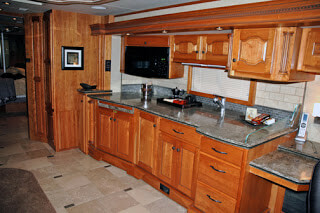 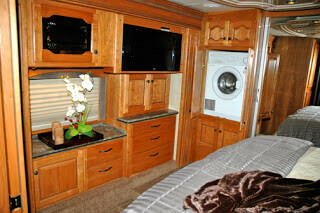 We can help you narrow down a few key things that will turn your RV into a showpiece! 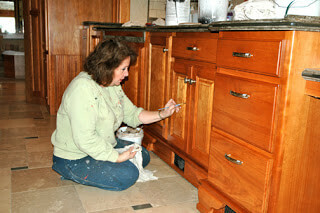 Whether it's cabinetry glazing, valances, carpet, or even new cabinetry knobs & handles - LET US KNOW! 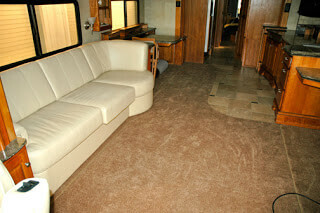 See Below for an example of one coach we remodeled! 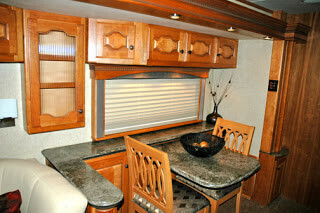 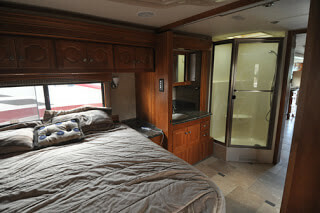 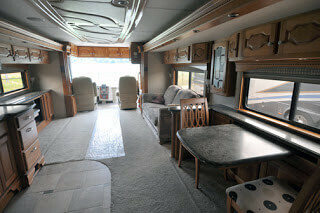 A small amount of money and a vision can do wonders for modernizing your RV!